DIAL IN NUMBER IS DIFFERENT FOR THIS CALL!! Anne Spencer will speak about the role of gratitude, secondary gains, pain, recovery, emotions�How Hypnosis helps as well as prayers, distance healing, physical therapy, depending on others [letting go of control/taking control] etc. For those who don't know, Dr. Spencer will be speaking from recent personal experience and this is an area of hypnosis that can be amazing for us to explore and assist clients to wonderful outcomes. 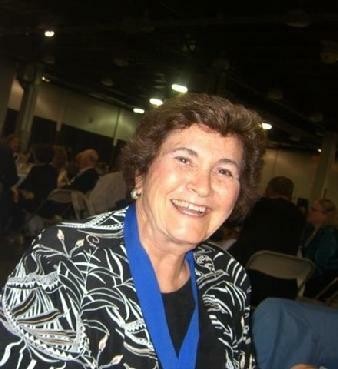 Anne Spencer founded the International Medical and Dental Hypnotherapy Association and directed it until 2005/2006 when she retired from full time work and the association was aquired by Robert and Linda Otto. She is well known for not only what she has written and contributed to the profession of hypnosis but for her continued support of students and other professionals in the field. Even in 'retirement' she publishes Subconsciously Speaking, an Ezine that is yours for the asking: click on her photo above and go to her site to sign up today.